I’m a Christian trying to live in light of what Jesus has done for me. I’m also a husband to Esther, and a father to Isaiah and Naomi and Elijah. I currently serve as the senior pastor of First Baptist Church of Ojai in Ojai, California. In terms of what I like to do, I am a true Californian—my favorite place in all the world is the beach, and I’m also into hiking, biking, and movies. I have a Ph.D. from Fuller Theological Seminary in historical theology, and an M.Div from Covenant Theological Seminary. I have a couple forthcoming books and regularly write online. For a list of publications, see my CV. The views represented on my blog are mine alone and not representative of my church or anyone else. For speaking and interview requests, or if you would like to republish one of my posts, please contact me at ortlund@gmail.com. If Facebook is an accurate indicator, word on the street has it that you may be considering doing doctoral work on Anselm. That’s pretty rad. The interplay between absolute divine simplicity and trinitarian doctrine have recently become an interest of mine, and I’d like to have someone to bounce ideas off of. Perhaps you could cook up some posts on Anselm and we could get some back and forth going. Drew, thank goodness for facebook – we would hardly know each other without it!! I also have thought about that interplay, as Anselm goes right there in chapter 23 of Proslogion. I will try to post a quote sometime soon, and then you can go to town. I just got here through Mere-O. Matt is a good friend of mine. Are you informed by the fact that Anselm was building on Augustine’s use of the word Soliloquy? Have you heard the Mars Hill audio interview of Thomas Hibbs on the exhibit of the work of Georges Roualt and Makoto Fujimura – called Soliloquies? It really gets into the relational quality of a soliloquy and its role in leading towards dialogue. Anyway. It’s a great tradition and Soliloquium is a great title for a blog. I had breakfast with Mark Labberton last week and he told me he had read some of your blogs and said you were a good writer. I read your recent post on Samuel Rutherford’s book, The Loveliness of Christ. You are blessed to have parents who have enriched your life as they have. I’m going to get the book because it resonates with my life right now. Thanks Gavin. Thanks Brad! You’ll have to let me know what you think of The Loveliness of Christ. I read your article, “Wholly Other or Wholly Given Over? What Van Til Missed in his Criticism of Barth,” and I believe you fundamentally missed the mark of understanding of Van Til’s understanding of Barth. Van Til’s fundamental disagreement is based is actualism and dimensionalism- that God is only his acts, and the theological Kantian distinction of the noumenal and the phenomenal. Barth often does appear to express perfectly sound Reformed, evangelical theology but these are based in an actualistic and dimensionalistic understanding of who God is. Apart from this basis I would agree that Van Til’s comments on Barth are just “pot shots”. But once you understand the root problem, his criticism make perfect sense. Hi Rob, thanks for commenting. The focus of my article was on Van Til’s charge of Kantianism in Barth, and the notion that God is only in His activity (Van Til uses the term “activism” which contrary to some of his defenders is not the same as actualism, which is a broader term referring to a particular ontology). So I agree with you about what is at the root of Van Til’s critique. The problem, in my opinion, is that Barth never said that God is only in his acts, and in fact said just the opposite at great length and most vigorously. I therefore find the charge to be simply inaccurate. If Van Til or others feel that, contrary to all appearances, Kantianism/activism is IMPLICIT in Barth’s theology, they have the responsibility of showing how and why. Saying, “Barth may have said X, but what he really meant was Y” requires evidence. Otherwise its just putting words into someone’s mouth. I have no undue loyalties to Barth, but I feel we should treat others with greater attention to what they actually said when engaging in theological criticism. Hi Gavin, where can I contact you for permission to translate one of your articles into French? I think I did! Don’t consult my WP.com account much. But if I want to email regarding permission to translate one of your articles, where should I write? Came across your post on listening well. Good stuff! Are you by any chance related to Ray and Anne Ortlund? Ray was on our ministry board (Asian Access) for many years. Cheers! I am a member of a reformed congregational church in Brazil. It is very comforting to know that there are still Reformed congregational churches in America. I’ve read your article about John Owen and Congregationalism. Very good! I’m trying to translate the book “the true nature of a gospel church and its government” to Portugues. It’s a huge challenge for me because I’m not a expert in english yet. God Bless you pastor! I’m considering a Th M in Church History with an emphasis on Anselm. Which area(s) of his life and thought might make for a good thesis topic? Hi Drew, great to hear of your interest in Anselm!! 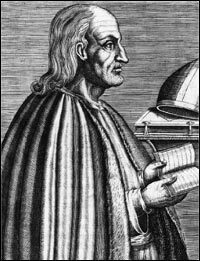 There are many possibilities, and I believe much depends on your personal interest, but two areas of massive neglect are (1) Anselm’s doctrine of (spiritual) friendship (his letters could be particularly useful to study this) or (2) Anselm’s devotional writings/influence, particularly his Prayers and Meditations. In Anselm’s own day he was widely known not just as theologian but as a spiritual adviser and director, but today this aspect of his legacy is often overlooked. One other idea, if you want to study Anselm’s theology, would be his doctrine of heaven—this is also very neglected but important. Of course, there is a massive stream of literature on his view of atonement if you want to get more specific and interactive, rather than being a trailblazer. Let me know if I can help you anymore. Blessings on your studies. Gavin – I’ve been considering ordination in the 4Cs for some time now. Our church is technically affiliated with them. I had been pursuing ordination in a Presbyterian denomination. Can you give me some perspective on being ordained in the 4cs? Thanks! Hey Peter! The CCCC has been a good home for me. They are solidly evangelical, but open on secondary issues like millennial views (this was a factor for me since I an amillennial, and some denominations require premillennialism). It was also a good fit for me given my church context during the ordination process. Email me if you have more specific questions, I’d be happy to try to help. Wow. And I thought I was the only one. Well, at least I know I am part of the 2%(-)! Thanks for sharing your journey and struggles with theology and your willingness to conform to the will of God. Not many are willing to take that final step. I have benefitted greatly from your resources on baptism. I am a first year student at Reformed Theological Seminary, and I have been wrestling with the debate between believer’s baptism versus infant baptism a great deal. A question that I have, which is secondary to much of the debate but I find very important, is if children are not in the covenant, then how are we to raise them? Of course, we would want to raise them to pray and worship God, but if we are saying they are not covenant members, how are we to teach them to pray and worship in good conscience? Perhaps I am seeing an issue where there is not one, but I guess the tension I feel is whether we are to raise them as pagan, unbelievers or as little Christians. Any response would be helpful! Thanks! Great to hear from you. Glad you are engaging this issue. Heb. 10:28 is a tough passage that I cannot give a good answer to in a blog post but I know some of the Baptist books out there address it. My feeling about the child-rearing issue is that surely it is possible and reasonable to have a middle ground between “assuming they are regenerate” and “pagan.” There are different kinds of relationships people can have to the church. Many people stand in a relationship to the church in which they are blessed by the church but not yet members of it — for instance, when a wife becomes a Christian, and the husband is attending a church but not yet decided — he is not really a “pagan” and you would treat that situation on its own terms. This is the sense of “sanctification” that I think is in view in I Cor. 7:14, since it includes both unbelieving spouse and the children in that verse. I think it is possible to raise children with a sensitivity to the unique kind of relationship to the church that they represent — neither hostile nor alien to it, but not yet members either. I am sure Baptists would approach the specific issues of prayer and worship differently, but I for my part do not have a hesitation in encouraging children toward a kind of prayer and worship that is appropriate to their situation, with the hope (of course) that this would ultimately result in an act of receiving the gospel. That is how I see it, anyway. Hope this helps. Gavin, thank you for the helpful response. It is very helpful to work through the issue in conversation with someone who has already thought through these issues. I have one more question for you (I promise, as not to turn this into a Q&A message board). Concerning your article “Can We Reject Paedobaptist and Still Receive Paedobaptism,” do you think that some of the justification for closed membership falls apart with a definition of baptism that take the focus off the human action of faith and on the heavenly action of God’s work in uniting us to Christ? In a sense, could we say that the baptism of an infant is valid – while not proper – because God acts to do the work of confirming the faith when it occurs in the life of one baptized as an infant? I understand if due to the recentness of this debate online you did not wish to respond to this, but it would greatly aid me as I seek to work through this issue and articulate it. Thank you, again, for you willingness to respond! Hmmm. In general, I think open membership and a greater emphasis on the objectivity of the sacrament go together well — but this is a broad generalization that I would not want press very firmly, and I would suppose there are exceptions to it.